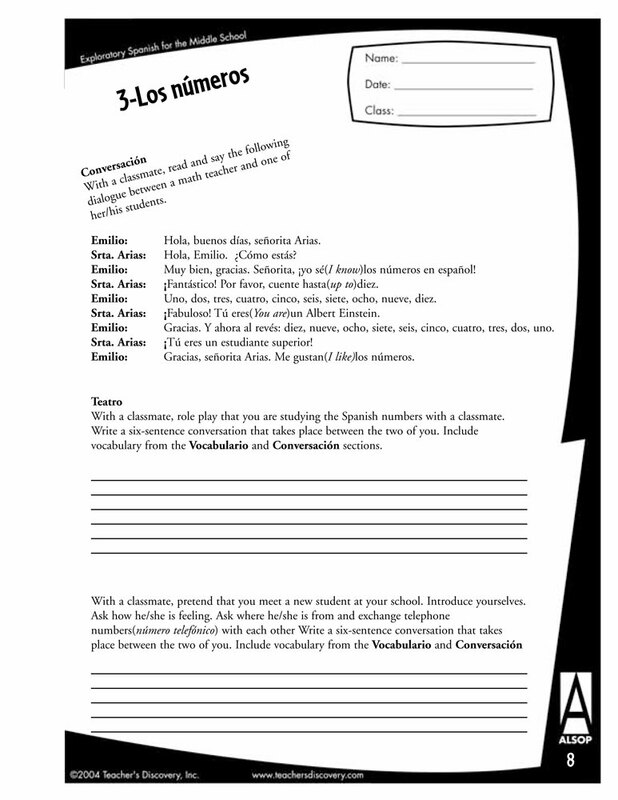 Here's your chance to open their first introduction to Spanish with a bang! 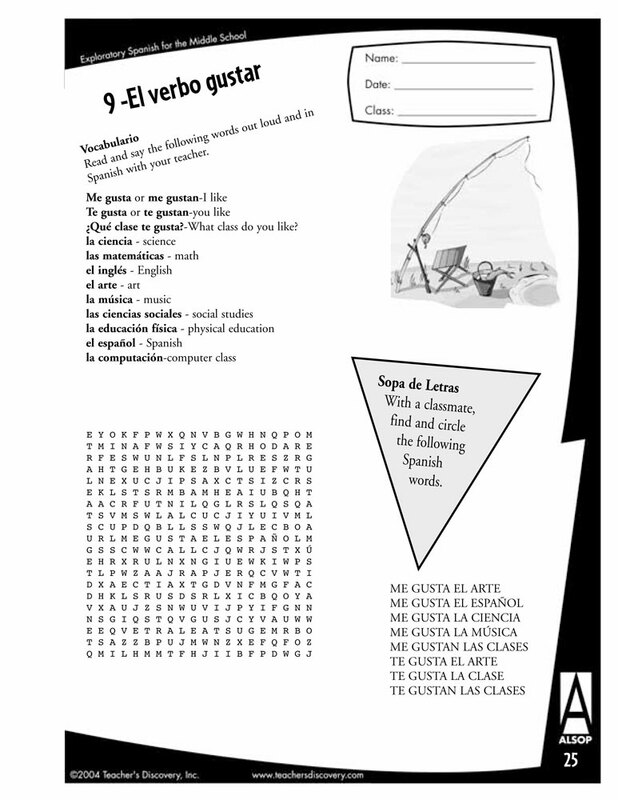 A variety of activities explore the basic subjects that middle school students need to know, like the alphabet, greetings, numbers, (ser, estar, tener, ir), all in a simple format that keeps the learning fun. 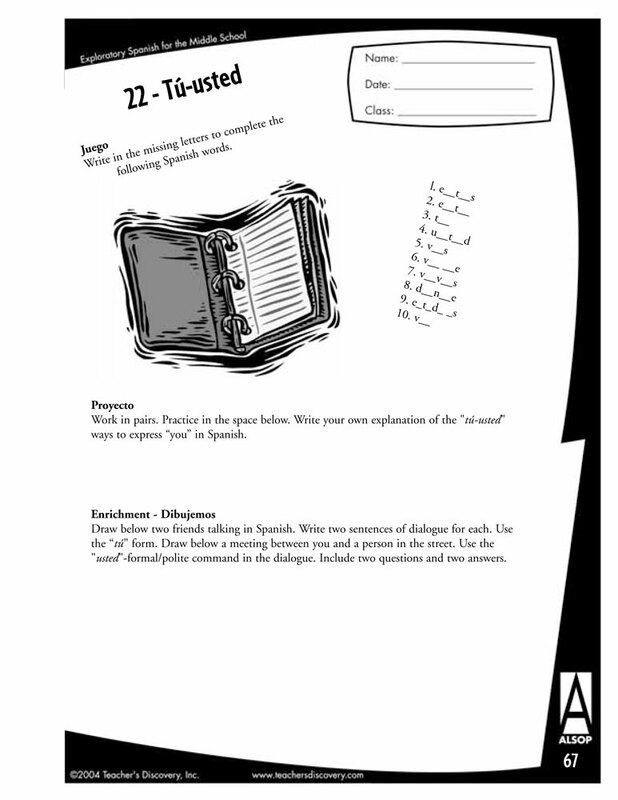 Students will role play, search the Internet, do easy grammar exercises, draw, do puzzles, plus learn a lot about Spanish culture in the 36-page culture section. 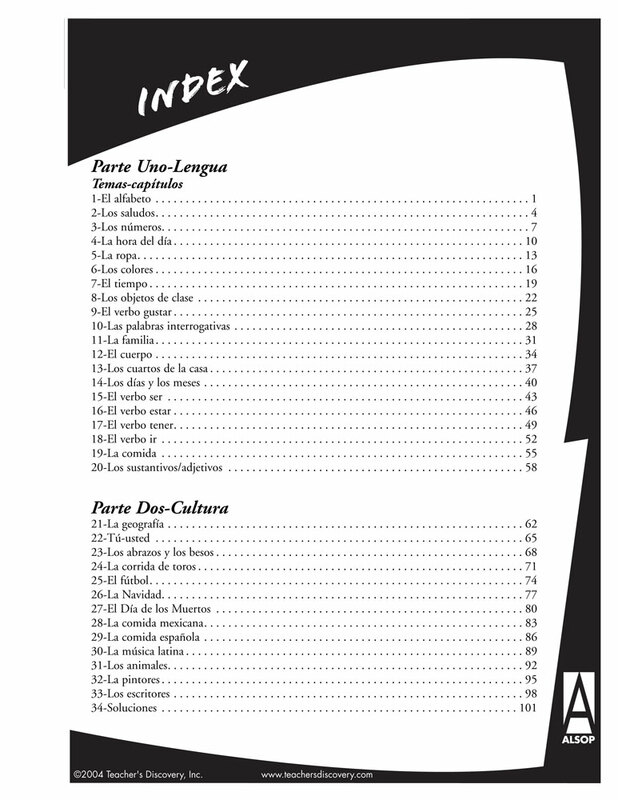 ©2006. Spanish. Beginning. Middle school. Reproducible. 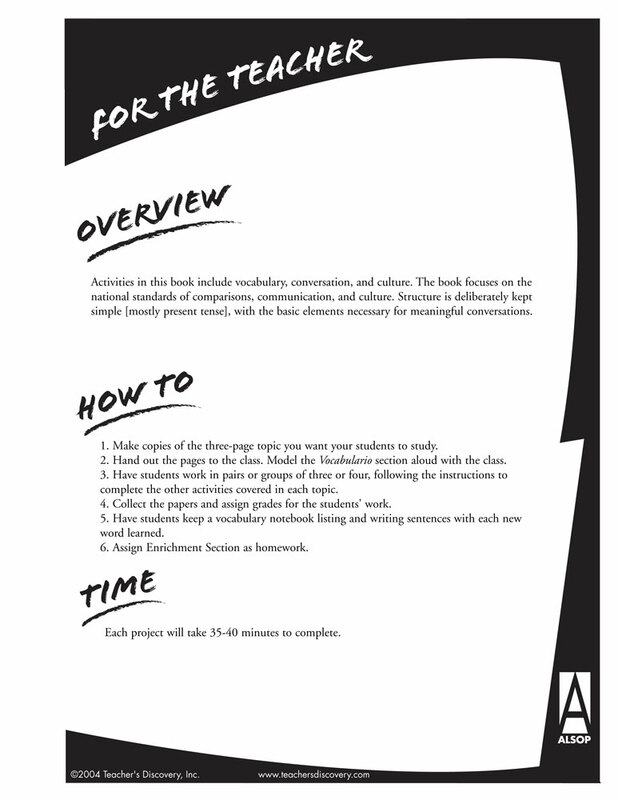 53 pages. The students enjoyed the activities! Thank you for this product....it is wonderful. 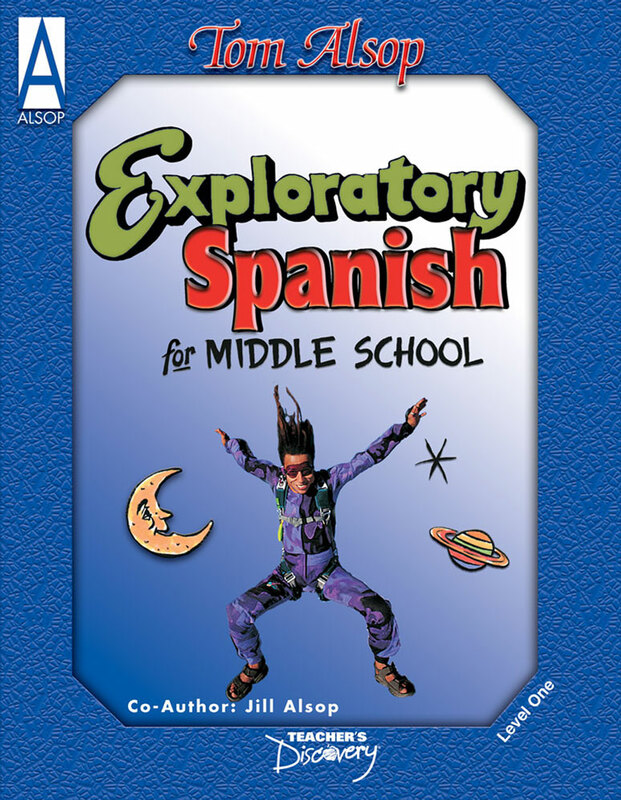 Jan 21, 2016 | By Jennifer L.
I teach an exploratory Spanish class (we meet once a month) and I have been looking for something that is appropriate for my 5th and 6th graders. 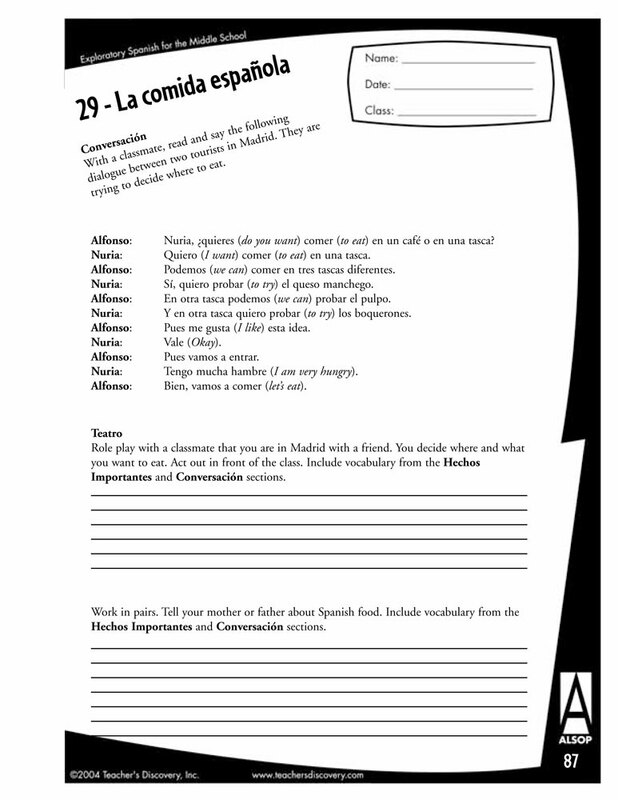 This is exactly what I was looking for.It uses a similar style of activities for each unit, there are clear explanations when an unfamiliar word is presented, and the vocabulary per unit is not overwhelming.